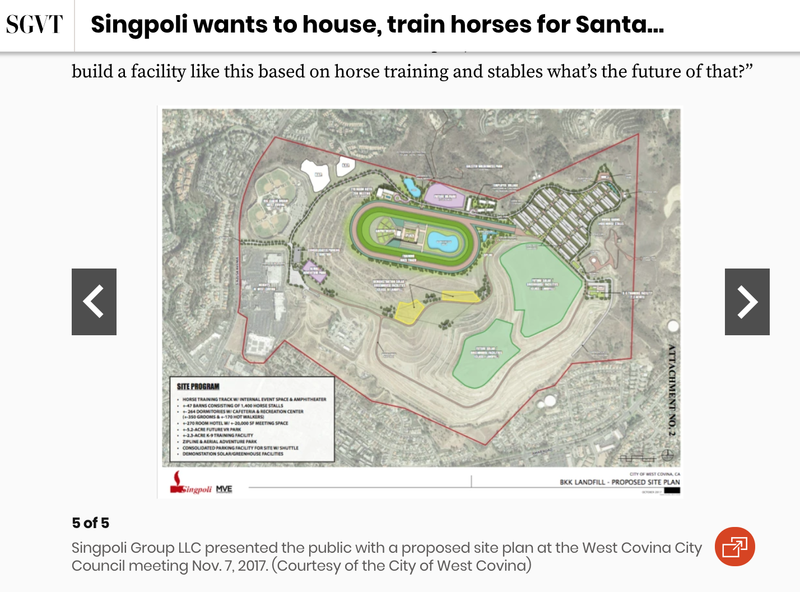 The developer behind a plan to build horse stables, a training track and other facilities at the site of a former toxic landfill in West Covina intends to partner with Santa Anita Park to house and train thoroughbreds that will compete at the historic race track in Arcadia, representatives told residents last week. 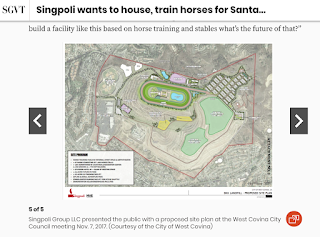 The Pasadena-based developer is proposing to build the track and 1,400 horse stalls, along with a employee dormitories, a hotel, a K-9 training facility, a zip line and aerial adventure park, greenhouses and other facilities, on about 200 acres of land at the site of the former BKK landfill off of Azusa Avenue. The land is currently owned and leased by the city’s former redevelopment agency.